Our group of 12 has just returned home and I wanted to send you a note to thank you for all the work you put in to our trip to make it stress free. We made many changes with our group and itinerary and you were always very accommodating. We have been to Ireland many times usually planning it ourselves. Everyone agreed that this was our best trip ever. Our driver was top notch, always getting us to our destination in lots of time and always with interesting comments about the courses or the history of Ireland. 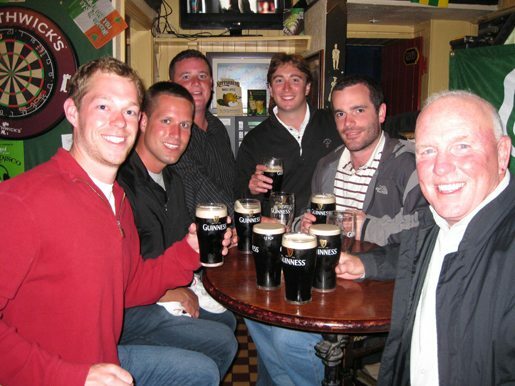 The staffs at the hotels and courses are very friendly and they always gave us great advice on where we could enjoy the most of the Irish atmosphere. I will contact you when we are ready to start planning our next trip. It was a pleasure meeting you. We had a wonderful time golfing after Tralee’s trying weather. Tralee is also a beautiful course & we wud hv enjoyed it more if the weather was kinder. We had better weather in Waterville, Old head & Ballybunion Old & Cashen. All the courses are beautiful & has it’s own character but Old Head is so scenic, like in a fairy tale island! The weather in all 4 courses was beautiful in the morning. 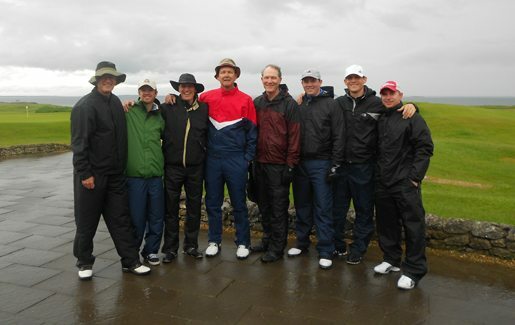 We cherished the experience of playing in the Irish ever changing weather conditions through out the 18 holes. The Irish countryside is breathtaking & the people are kind, warm & friendly. 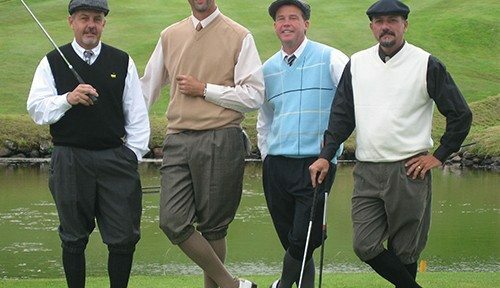 I would like to hear from you on other good golf courses & promotion in Ireland. Look forward to checking out your magazine & website when you post “The Malaysian Group”. Tq. I just wanted you to know that everything went off without, as we say, a hitch. Thanks for all of your assistance. While so much is affected by the weather, I think we found Old Head the most physically impressive; the Adare Golf Course the most relaxing and beautiful for a walk; and Lahinch the best links golf experience. And as for Doonbeg, while i just missed breaking 80 there on a tough weather day, it seems like Norman was trying to make it hard, and I wonder how many “regular” golfers will enjoy the “walk” there. But an unforgettable week. We’ll definitely come back. Just wanted to take a moment and thank you for all your help with our journey. 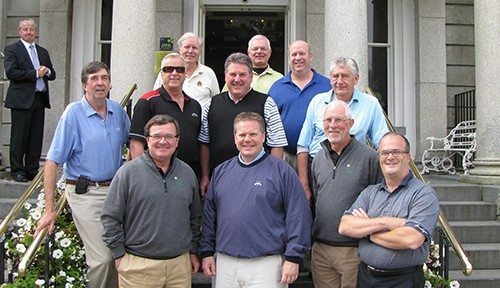 Every aspect of the trip was fantastic, we enjoyed all the accommodations and the golf was world class. Again, thanks you for setting it all up! 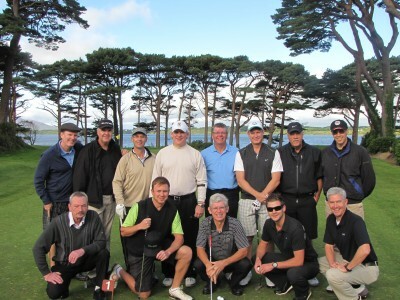 Just a note to let you know that we had a fabulous time playing golf in Ireland last week. 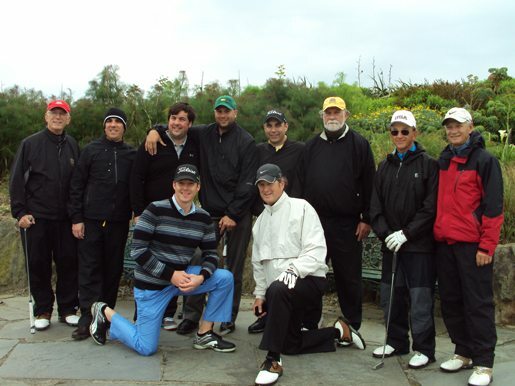 The courses had our tee times and clubs lined up exactly as requested, and we were able to hire caddies as well. As an added benefit, the weather was perfect. Thanks again for your help with this trip. We hope to be able to use your services again. Our Irish Golf adventure was super and we are safely home in Pittsburgh, PA!! We did try to contact you in Tralee on our way to Ballyb, but you were out of office, hope you got the message! Thought that you might be able to join us @the Grand Hotel for a cup of soup or a Pint or both!! Grand Altogether!! 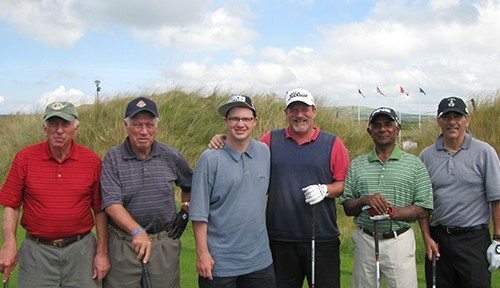 We experienced all forms of Irish weather, Dooks (high wind), Killarney (rain), Kerry (more rain), but we finished strong with sunshine and blue skies (beautiful days) at Ballybunion and Waterville for the complete Irish Golf experience!!! Thank you for all of your help, everything went very well and everybody enjoyed the adventure. Sorry we missed you! We also enjoyed a High Kings concert and Irish football match (Kerry/Tyrone) in Killarney!! OUTSTANDING!! Thank you so much for helping to organize another wonderful trip to Ireland. Even though it was a busy time to be there you were able to get my husband on the courses he wanted to play. He appreciated that very much. Our bus driver was a true gentleman and very thoughtful. We had a very good time with him and consider him a friend now. I think we gave him a few laughs and memories also! As you know I highly recommend Swing Golf and will continue to do so. Thank you so much! I look forward to working with you in the future! 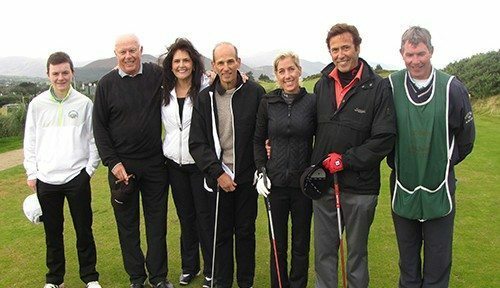 Hi SWING, We just returned from our trip which included our golf & travel experience in Southwest Ireland. I just want to say that the entire intinerary went off perfectly and everything was just lovely. Your company have done an outstanding job and I couldn’t be more satisfied with the arrangements. Please pass my comments along to your staff. I will definitely be recommending SWING to my friends and associates for their golf & travel experience in Southwest Ireland. We are finally at home again after nearly a month in Ireland. 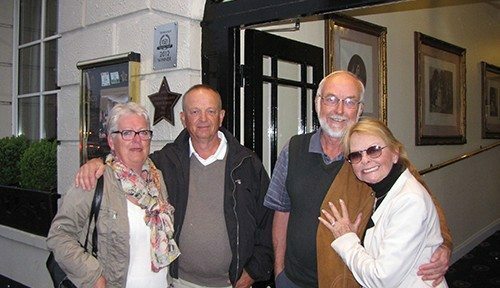 The trip was very pleasant, We look forward to working again with you; probably, Adare, Doonbeg, Tralee, Lahinch, K Club, Royal Co. Down, and two or three others: Portrush and also Hollywood which we visited to see Rory’s club and meet a member of two. Jim Curtis, who played with Rory’s grandfather and dad gave us a tour. Let us know if you have suggestions for next year. Thank you Swing Golf for helping organize another fantastic golf trip to Ireland for the Alotian Club and their members. This is the second time we have taken a golf trip to Ireland and the team at Swing Golf made my job very easy. Their professionalism and attention to detail far exceeded our expectations. The golf courses are some of the best in the world and the accommodations that Swing Golf provided were truly magnificent. 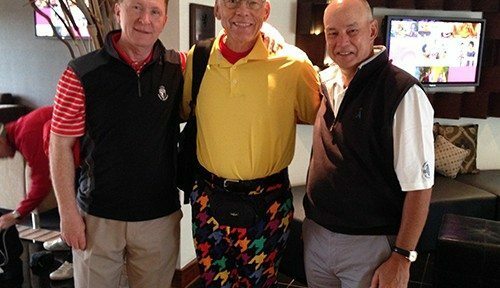 Organizing a group of 25 golfers is a huge task to say the least, Swing went above and beyond when it came to making last minute changes, personal requests and follow up detail after the trip. I can’t begin to tell you how much the group enjoyed the trip and I certainly recommend if anyone is considering a golf trip to Ireland that they use Swing Golf. I priced out several other companies and no one came close to the price and options that Swing Golf provided. All of our members truly appreciate all you guys did to make our trip one that we will remember forever. 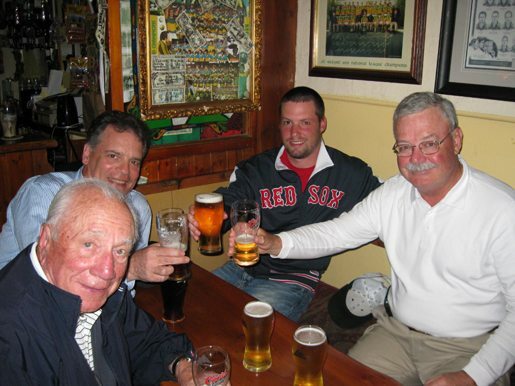 I just want to thank you for all that you did for us concerning setting up our Irish golfing vacation. We had a fantastic time! On Monday, we got to Killarney almost two hours late but we were able to tee off at 3:15 PM–thanks for contacting the course and alerting them that we might be late! The weather for our 6 rounds was extremely good–windy, but mostly sunny. We got a light rain on holes 2, 3, and 4 at Old Head and then the sun came out. That was the only time we got rained on. Each day it seemed as if it were raining all over Ireland except on the course we were playing on. As far as sighting seeing, we went through Killarney National Park, went around the Ring of Kerry, and visited the Cliffs of Moher. On our last day we had a lot of fun visiting the Guinness Storehouse in Dublin and strolling around the City Centre. 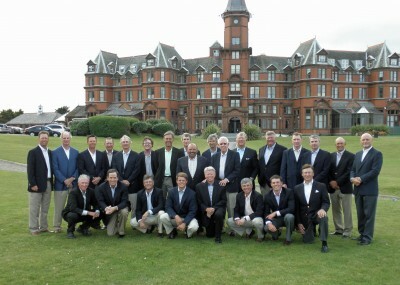 I would like to thank you very much for the very good organisation of our golf trip to Ireland. We spent some wonderful days. Especially I thank you for the last-minute change of reservation on Old Head. Old Head was a great experience, which I and my son will never forget. 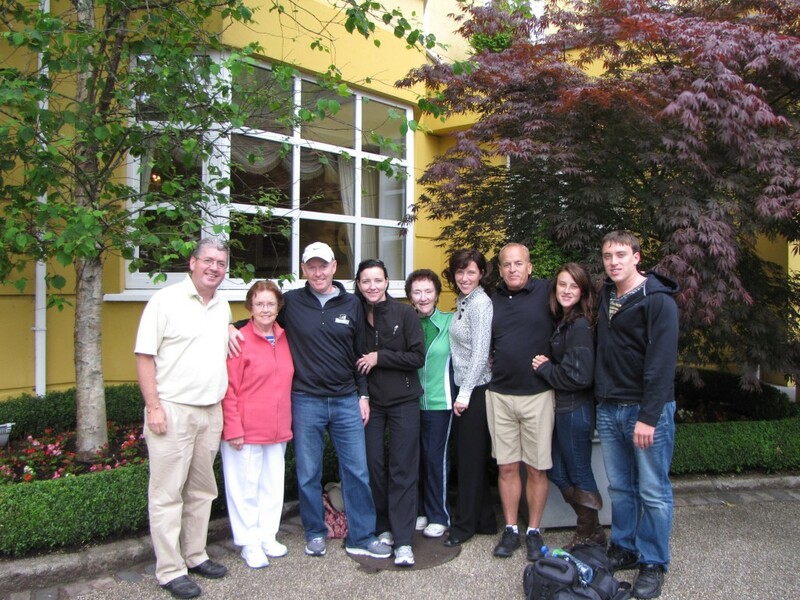 My familiy and I, we are sure to come back soon to Ireland. It is a lovely country. I am looking forward to working with you next time. Maybe next year! Back from our trip and it was such a great experience. Swing golf scores another birdie with our group, everything went exactly as you planned it. The courses you selected were awesome, some difficult and challenging golf, that only made us better. Old Head was unbelievable, it rained and the wind blew but we enjoyed every minute of it. The hotel options were good choices, both had an excellent breakfast buffet each morning. Our driver did a fantastic job, please pass this along to his company, he helped us in every way possible and then some. SWING Golf was recommended to me by my father in law. 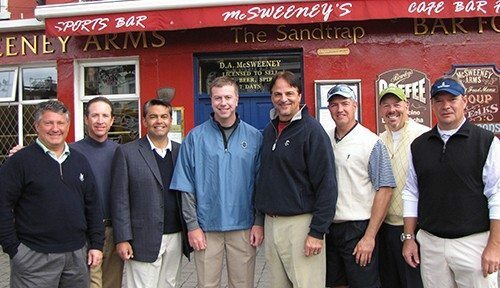 Our trip to Ireland marked the 20th anniversary of our annual golf trip with my college buddies and our first overseas. So we’ve planned a lot of these trips through the years and this was easiest solely because of the people at SWING Golf. Their planning and advice made the trip. We played great courses, stayed at nice hotels (who were all ready for us when we arrived), and our driver was superb. They did a wonderful job helping us plan the timing and the right amount of travel so we could play more golf on nice days if we wanted to. We never felt rushed and they allowed us to be flexible. Because of their experience I was easily able to plan the entire trip by email. Our experience couldn’t have been better and we can’t wait to return to Ireland and use SWING Golf again.